Warren Foegele scores 17 seconds into the game and Teuvo Teravainen adds the game winner of the Hurricanes' 2-1 victory in Game 4. 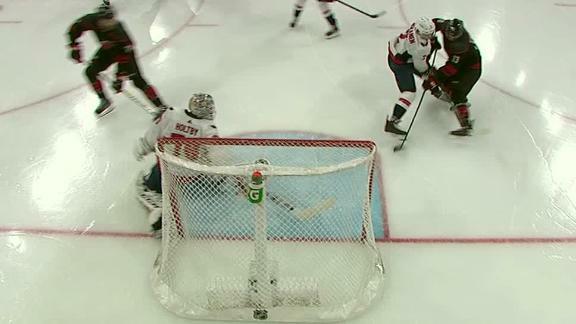 Alex Ovechkin rips the puck into the back of the net, bringing the Capitals even in the second period. Tomas Hertl nets a pair of goals in the Sharks' 5-2 win in Game 5, and now trail the Golden Knights 3-2 in the series.